Highly Visible and Safe. The Jersey Every Rider Should Own! 2XL through 4XL are available here; however, they are Tall in size. See size chart for details. 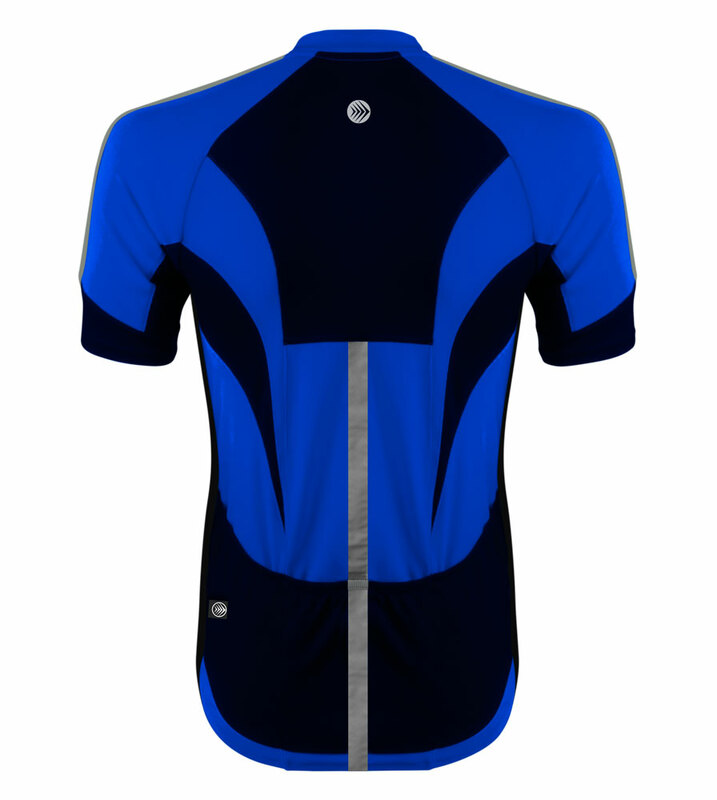 This meticulously created bicycling jersey is made for the safety of every cyclist on the road or trail. Influenced by generations of bicyclists of every skill and style, we designed the Pace 360 Degree High Visibility Safety Jersey just for all of you out there year after year pushing through every condition imaginable and loving every step of it! As cyclists we have all had that experience of feeling invisible on the road, close calls, light outages, poor road conditions, construction, dark nights, dreary weather, you name it, and we felt that too. So here is a Fantastic addition to providing you a safer passage my pedal pushing friends! Technically constructed with the features we all love in cycling jerseys like, soft, lightweight, breathable poly fabric with great wickability to stay dry and comfortable, a nice long zipper for ventilation and easy on/off, and three deep pockets positioned to avoid snags and for easy reach access while in the saddle. 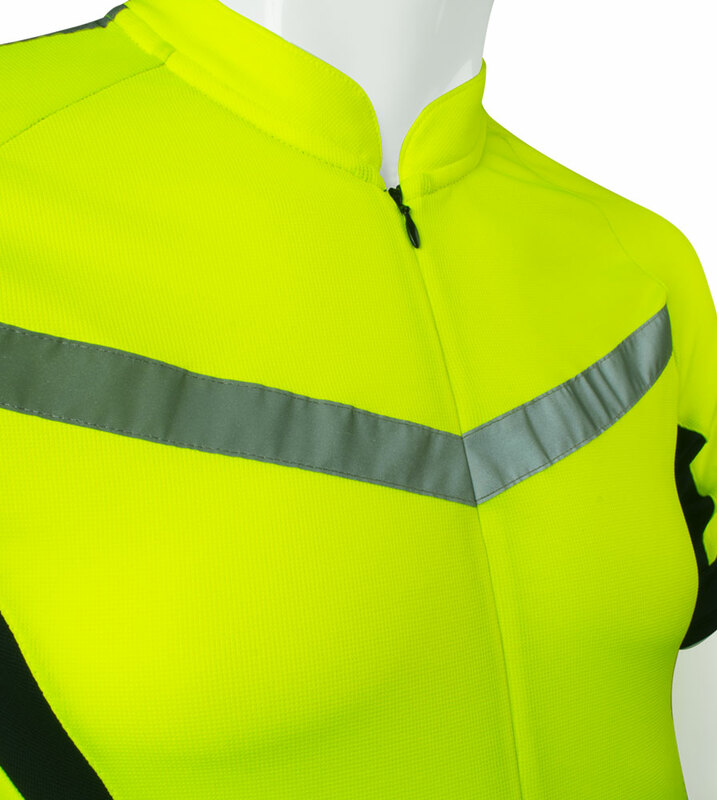 The star of this safety cycling jersey is the super reflective of the wide ribbons that are featured on the front, back and sides of this Pace High Visibility Safety Reflective Jersey! Strategically placed so that no matter where the light hits you, you will be seen as bright and reflective as possible. 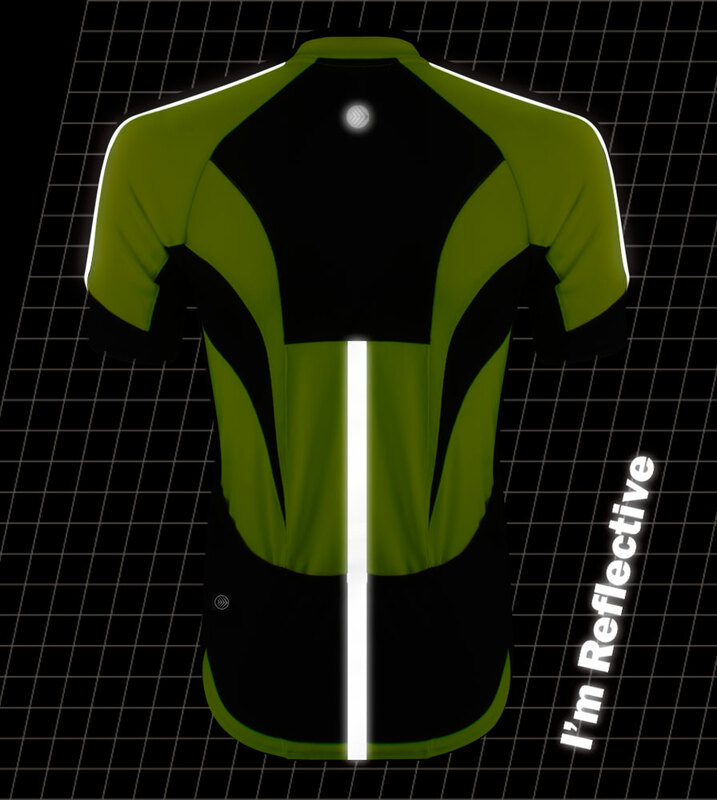 And, to top off the awesome features of this reflective, safety jersey, the cut and fit our talented designers created makes you look super cool and professional. 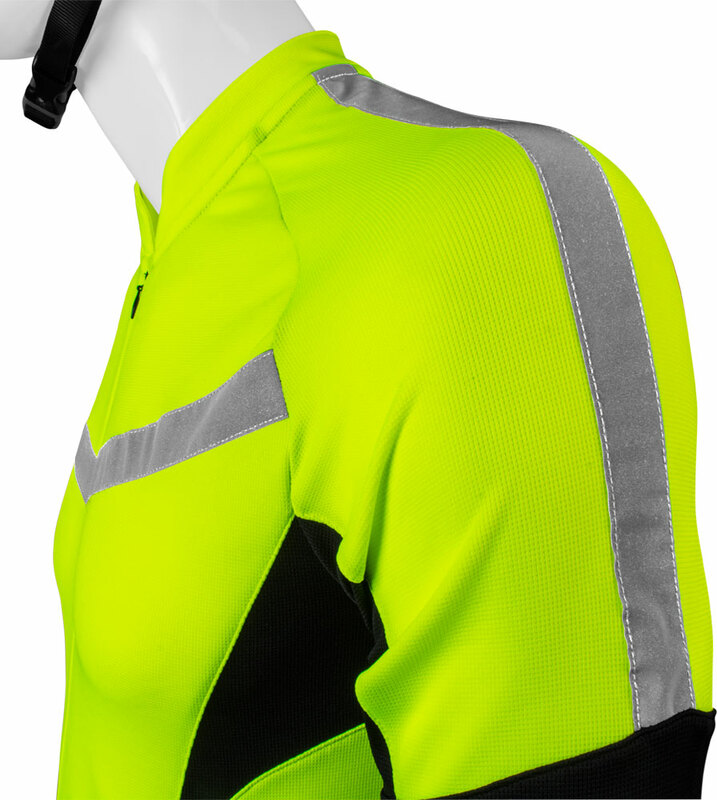 A great feature is the super reflectivity of the wide reflective ribbons that are on the front, back and sides of the Aero Tech Designs Pace High Visibility Safety Reflective Jersey! * Awesome Fit! Great Looks! A Bicycling Jersey Designed for Safety. Be Seen High Visibility Reflective Features Keep You Safer. Experienced riders helped us to create this amazing jersey for the benefit of all of you cyclists out there and we want you to stay safe and be seen, so get this amazing jersey and ride on my friends!!! 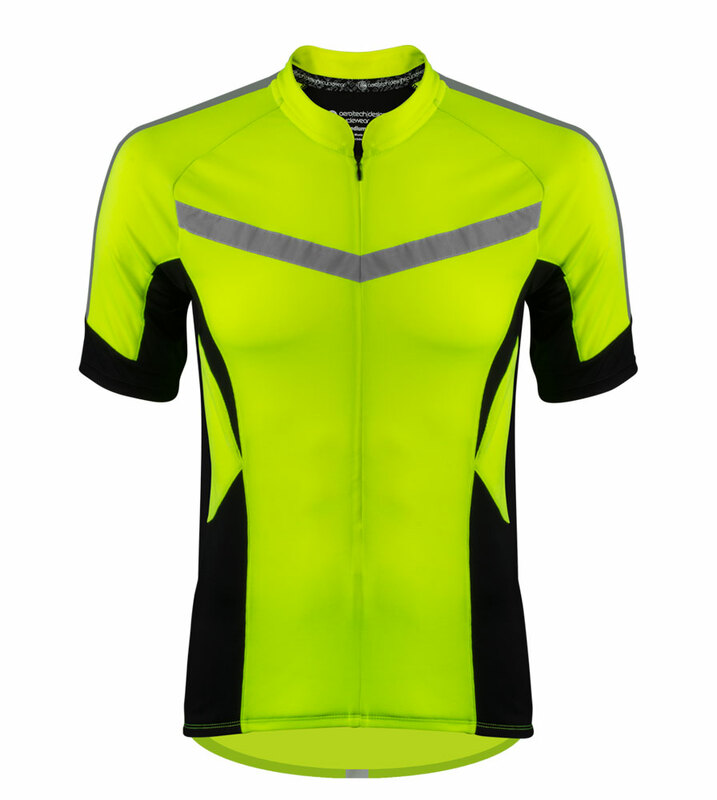 GET YOUR HIGH VISIBILITY SAFETY CYCLING JERSEY TODAY! 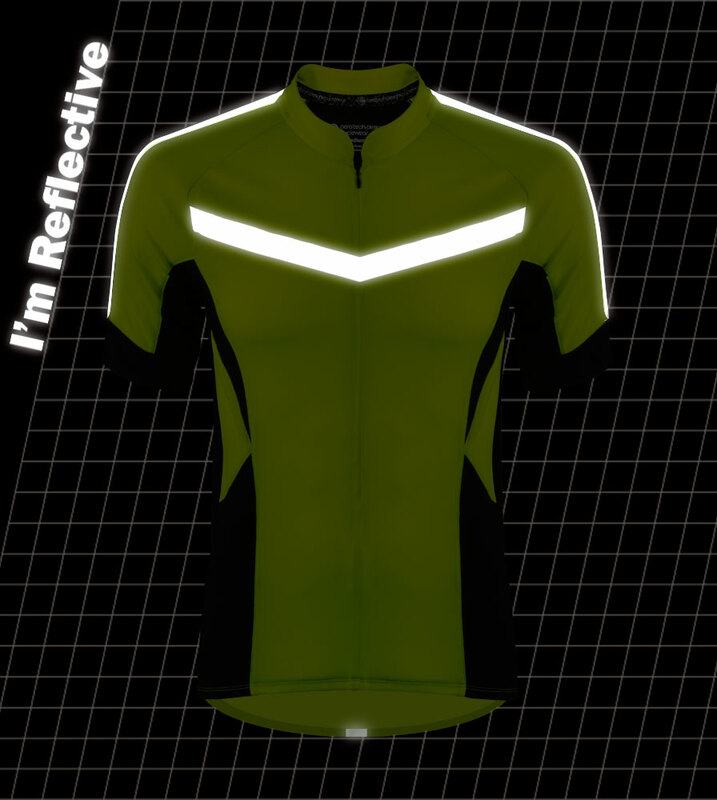 See More Reflective Safety Aero Tech Designs Bicycling Products. Feel a bit safer. only complaint is the back stitching irritates a bit. Good quality. Good fit. Looks good. Love the visibility. reflective material on this jersey makes sure you stand out in the dark. I love this jersey. It's comfortable, visible and priced right. I especially like the half zipper front I'll be buying the long sleeved version for riding this fall. I am impressed with the quality of construction and design of this jersey. Good stuff. It is very visible, but still looks decent with the black color block panels. I'll consider Aerotech first, for all my road kit needs. Great product. I wish I could find a size that fits me. The XXL is super long. The XL was too tight but the XXL was too long. Nevertheless, I like the style. I wish I could find a fit. Great Jersey - some suggestions as well. For what this jersey is it's fantastic. Great materials, high quality, damn affordable. And fits well for how it's designed - somewhere between a performance and club cut depending whether you size down or stay true to size. A few suggestions. I'ma bike racer (5ft-11in, 155lbs - ordered an XS) and I love race cut. I'm telling you if this was offered in a race cut (3/4 zip still good - full zip would be amazing) you'd have an amazing product and a lot of true bike racers would purchase. The sleeve length is perfect, tighten up the fit a little and if you want a really great offering make all the body panels that are black into a black mesh material. Leave the high viz material alone and the reflective stripes are perfect. I know I would buy like 3 more jerseys if you had a race cut version of this. Great jersey though - will happily wear this for early and late day training. The jersey looks and fits great! I have been on several long rides between 20 and 34 miles since I have bought the jersey and it is very comfortable. I am 6'2" and 205 lbs. 3/4 length zipper was not expected. It also jams while zipping up & down. Zipper design does not close the collar. Should be installed higher on the neck and should be a full length zipper. Would not buy this jersey again. Bought these for my husband for Christmas and he loves them, had to return them for a smaller size because these run a tad bit big but other then that they are perfect! Comfortable, vibrant colors and they wash and dry very well and the price cannot be beat! Aero Tech Designs is quickly becoming our favorite fitness clothing store! Hi Vis but doesn't look like a construction worker. Fits very well, as good as any of my "high end" cycling jerseys. Very satisfied. 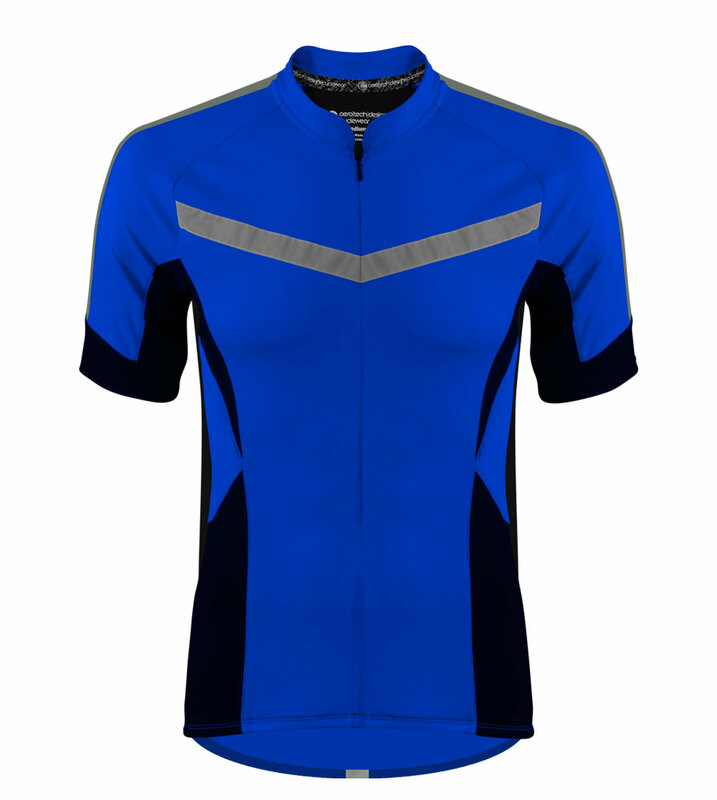 I needed a comfortable cycle jersey that was good for evening and morning rides. This jersey is very bright in all light and reflective at lower level lighting. Service was excellent as my jersey came faster than I imagined and it fits very well. I'm 6'1 and 188 pounds. Ordered a large sent it back and got a medium. I like my jerseys a little on the snug side. Love the easy access side pockets and the very visable yellow. I will be buying more jerseys from aerotech. My 2nd attempt was a 2xl. I'm 6'7" and this product is almost to my knees. If you need a dress order this product. 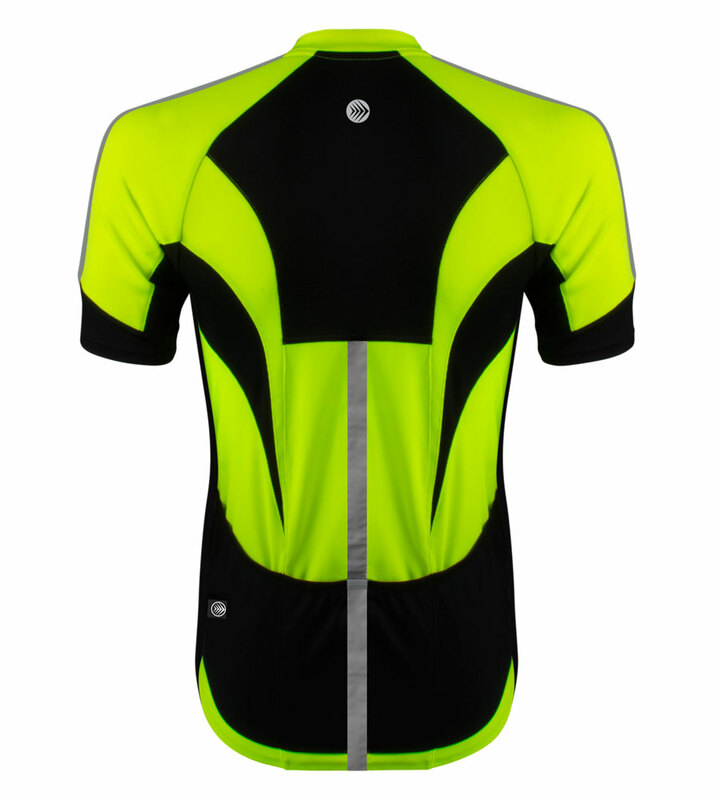 I rode at night with confidence wearing this highly visible jersey. Although I run lights, this jersey added to help me stand out from all the other lights in the city. Three features I like best: all around visibility, longer length, and not too tight jersey bottom. The last feature is really nice because you don't feel like you've got this tight elastic around your waist. 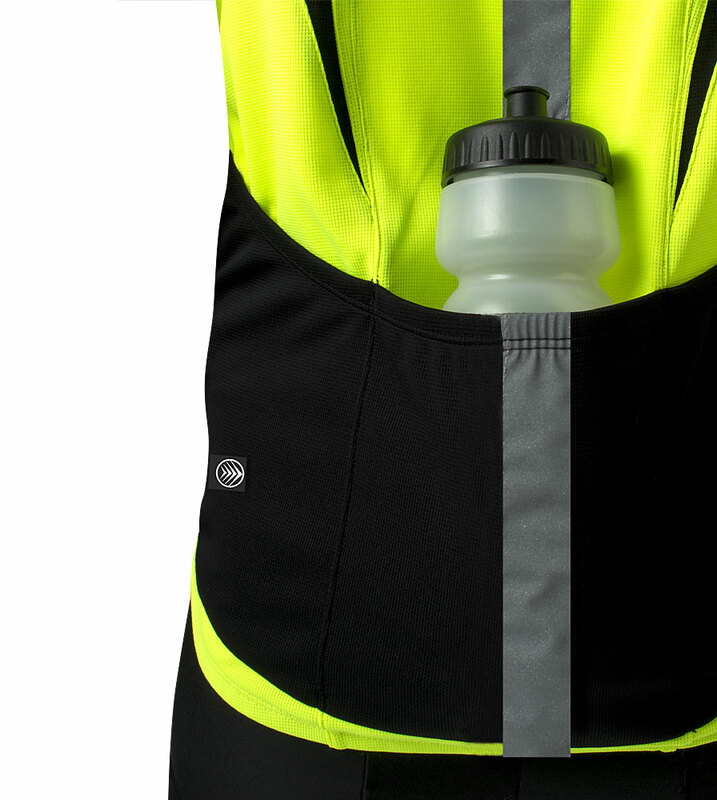 As compared to other bike jerseys, the extra length provides deeper back pockets. I wanted a jersey that was almost obnoxious and I found it. My biggest fear is getting hit by a car when riding early in the morning. I think I have a better chance at avoiding this with this jersey. Top notch product quality and customer service. Need to wear a reflective device while riding on a military base and this fits the bill perfectly. the size was as advertised. Bring a big guy in cycling you wonder where they get their sizing from. These jerseys fit to the sizes they say they will fit. Very comfortable as well. We gave this to my husband for father's day who is a "casual" biker but bikes later in the evening. The fit is perfect, the reflection wonderful for him and my peace of mind, and the blue is something he's not used to wearing - but loves it. We exchanged the too-vibrant yellow for the blue and it's fine. Would love one more color selection. I think he'll bike more because he looks so good in it!